Dynamics processors allow you to control the dynamic range of a signal. The dynamic range is the difference between the softest and loudest signals that a sound source produces. This range is listed in decibels (dB). The larger the dynamic range, the more variation between the softest and loudest notes. 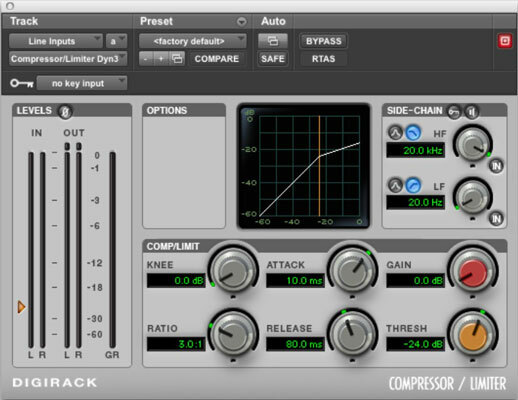 The three types of dynamics processors are compressors/limiters, gates, and expanders. With the help of dynamics processors, you can do a number of important things to your music. You can add punch or smooth out an instrument’s sound, you can eliminate noise from a track, or you can even out an erratic performance. The following illustration shows the dynamics processors section of a popular computer-based recording program. Although each dynamics process works a little differently, they all use some of the same controls. In this figure, you use the dials at the bottom of the window to control the different parameters for the processor. The left section’s level meters show you how much processing of the dynamic range that you’re doing. Dynamics processors allow you to control the levels of your signals.